BoldIQ, a global provider of dynamic real-time scheduling optimization software, will participate in Air Cargo World’s second annual Elevate conference taking place in Miami on October 2. At the event, BoldIQ President and CEO, Roei Ganzarski, will speak alongside three other industry experts in a panel discussion, “Using Next-Gen Technology to Solve Logistics Problems”. During the panel, Ganzarski and other industry experts will explore the current state of e-commerce, challenges facing the industry, innovations in digital logistics solutions, and the dire need for an optimization overhaul. BoldIQ CEO hopes the presentation will help companies start thinking strategically about how to work as efficiently as possible in today’s technically advanced market. Are we trying to solve the right problems? Juniper Research published its annual sharing economy report, which included insights from BoldIQ CEO Roei Ganzarski, regarding the state of on-demand transportation. 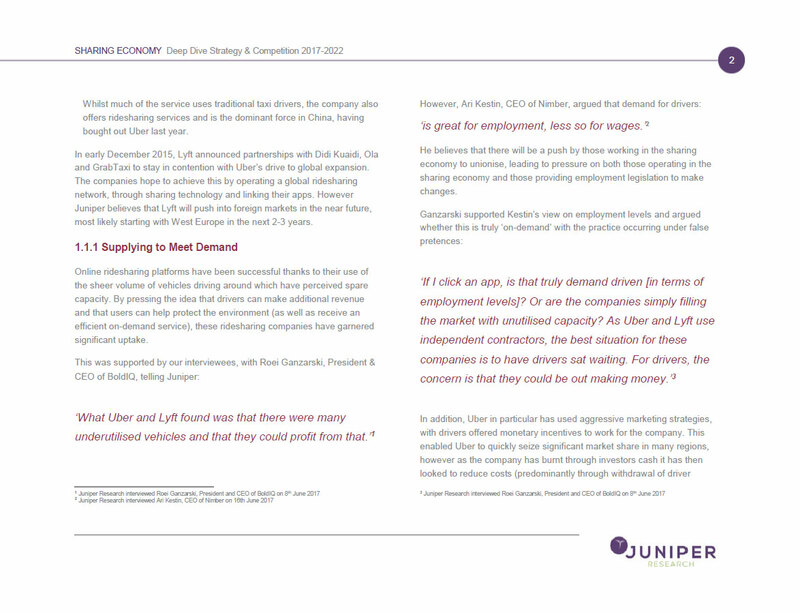 The report’s market sector analysis for transport takes a look at today’s sector for demand-driven rides from popular services like Lyft and Uber and the viability of this industry including key takeaways on employee rights and job flexibility, safety and security, and environmental implications. Throughout the analysis, Ganzarski shares his thoughts on the current on-demand transportation model questioning if it is truly ‘on-demand’ and who should be liable for any risks – the driver or the company. The report also features a case study on BoldIQ, showcasing the company background, customer success and market expertise. 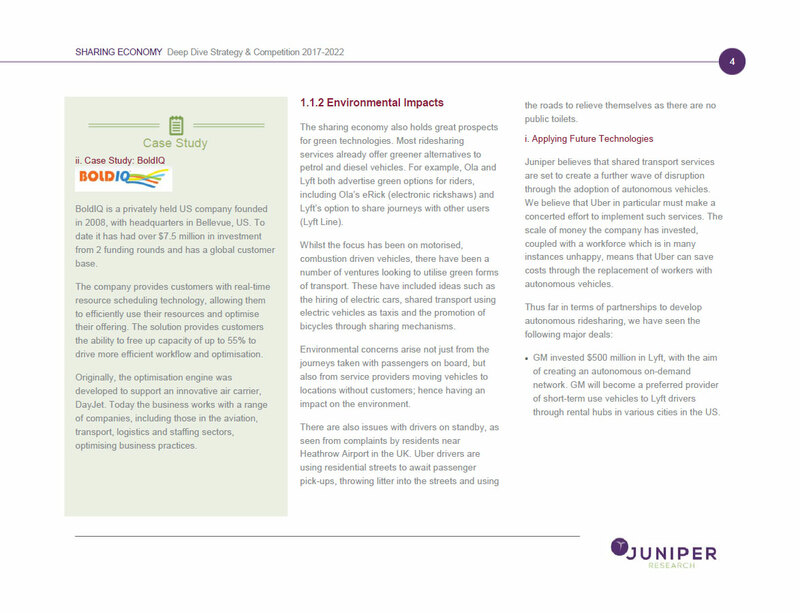 Read the full “Market Sector Analysis: Transport” section of Juniper Research’s annual sharing economy report to learn more about the industry. The Washington State Opportunity Scholarship (WSOS) supports promising low- to middle-income students pursuing a science, technology, engineering, math (STEM) or health care degree. Graduates of this program will fill high demand, high tech jobs in software development, aerospace, biomed, transportation and more. Scholarships of up to $22,500 as well as professional development, skills-building workshops are provided to help increase the rate at which students enter the workforce. This type of community focused organization is at the heart and mind of each BoldIQ employee. The CEO of BoldIQ has the privilege of serving on the Executive Leadership Committee for the OpportunityTalks breakfast, a key event benefiting the WSOS and the entire BoldIQ team will be attending the breakfast. In addition to this event, BoldIQ also hosts WSOS students in our offices for exposure to STEM related work, and members speak at WSOS events. As a side note, this year’s OpportunityTalks keynote speaker is Derek Thompson – the author of the bestselling book Hit Makers and a senior editor at The Atlantic magazine, so it should make for an interesting breakfast. For more information on WSOS, click here. The evolution of smart tech: What will our cities look like in 2025? There’s no question Internet of Things (IoT) technology is pivotal for the future development of smart cities. While smart cities have been depicted in TV shows and movies for years, showing futuristic worlds where cars can fly or where drones buzzing overhead is the norm, the truth is a version of this reality is closer than you think. In response, companies must be better prepared for the onslaught of demand by today’s consumers who have become accustomed to a convenience-based society. Those movies, and the consumer views that come with them, are focused on the narrow front end or consumer-facing view (the flying car, the delivery drone, or the smart building itself). The “smart city” will only become a reality when the backbone of the city – the infrastructure and moreover, the software that will dynamically bring all these parts together for the efficient and responsible lives of the cities inhabitants – is in place and widespread. We’re already starting to see forward-thinking companies test futuristic, IoT-driven technologies that have the potential to make a great impact on us day-to-day, making life easier and more immediate. Take Amazon, for example. The innovative retail giant has been publicly testing drones for package delivery, even filing a patent for a drone hive to accommodate and optimize deliveries in urban areas. However, in order to be as efficient as possible, companies that choose to participate in the on-demand ecosystem will need to evaluate the platforms these technologies are powered by to make sure they can withstand our demand-driven and connected world. Many companies investing in smart city technologies are too focused on the consumer side of IoT (the “flashy side”) and are hindered by outdated, inefficient backend infrastructure forcing them to rethink their strategy. Current models rely too heavily on inefficient oversupply of resources, when they should be meeting demand with the appropriate supply to eliminate inefficiencies. That said, companies need to shift their focus and put as much emphasis on backend infrastructure and operations execution as they currently do on the consumer-facing aspects of the business. Additionally, people are by nature risk-averse, so the concept of creating smart cities is one many will have to overcome – specifically the government organization in which these cities will exist. Knowing that things will go wrong in the early years of smart cities and IoT technology adoption, it will take a select few to be the first movers, take the risk, and carve the path for others. Our society is becoming increasingly dependent on convenience-based, on-demand services for daily tasks like grocery shopping, meal delivery and hailing a ride. In fact, more than 22.4 million consumers currently use on-demand services and researchers believe by 2020, and almost one in five U.S. workers (the equivalent of 31 million people) will rely on the gig economy for employment. This projected growth creates a critical need for efficient, optimized, real-time dynamic software to support our IoT-driven lives. Unfortunately, most companies are currently operating in inefficient, individual silos that bottleneck streamlined services. In order to reach the next phase of “smart cities,” companies involved in the on-demand ecosystem will need to optimize their own resources through a dynamic technology that enables more efficient and effective processes. Despite what many might believe, we’ll likely see rural areas – not major cities – adopt smart technologies such as delivery drones and autonomous vehicles first. Just think: our densely-populated metro areas with towering skyscrapers and pedestrian filled streets below do not create an ideal location for early testing and longer-term implementation. Instead, rural areas not only provide open skies and sparse populations, but these communities actually stand to benefit the most by utilizing optimized smart technologies that provide efficient, low-cost and timely services. Ganzarski believes in the future, Walmart (and other “brick and mortar” stores) will use their actual stores more and more as warehouses, fully integrated with their online retail presence. “For example, we should see a delivery driver pick up some items from a warehouse, then drive by a Walmart store to pick up a few more items that enable the total order delivery to be faster and more efficient for the consumer.” He said. Artificial intelligence is easily one of the most popular buzzwords this oear, even sparking heated debates between prominent tech moguls, Musk and Zuckerburg, on the future of AI. 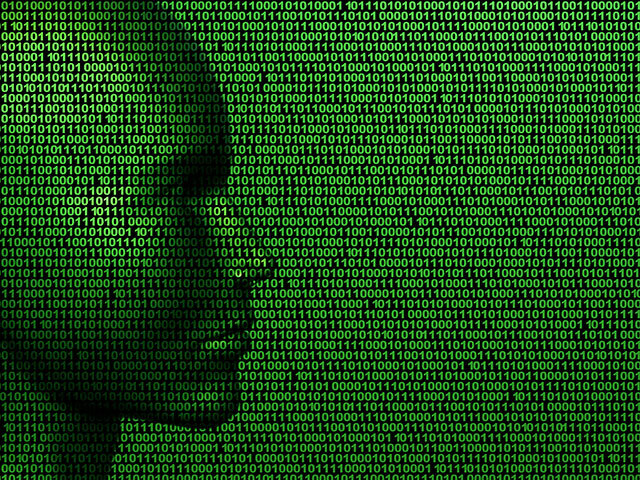 However, one major oversight persists – true artificial intelligence does not exist and will not exist for at least another decade, according to BoldIQ CEO, Roei Ganzarski. Instead, he suggests, tech companies claiming to do ‘AI’ actually only provide an augmented intelligence. While many companies claim to provide “AI-driven” solutions, in reality they’re leveraging machine learning techniques at best, developing what Ganzarski refers to as augmented intelligence. In fact – IBM (who arguably created the first AI tech with Watson) agrees with this definition, and believes today’s technologies are more data-driven than ever but aren’t yet advanced enough to think for themselves – which is how true AI is defined. While HBO’s Westworld gives us a glimpse at a future where human-like, self-thinking androids are the norm, people will have to wait several years where the technology goes from interpreting predetermined scenarios based on a library of data to an intelligent bot that formulates its own ideas based on morals/rationale – essentially ‘thinking’ for itself. In an interview with Information Age, Ganzarski’s discussed how he thinks this gap from augmented intelligence to artificial intelligence will be bridged, how long that will take and what the future of AI holds. There’s currently a lot of hype around artificial intelligence in nearly every industry, but you claim it doesn’t yet exist. If we aren’t experiencing true AI, what are we seeing instead? Artificial intelligence is easily one of the most popular buzzwords this year, but in my opinion, it does not yet exist and will not exist for some time. Instead, tech companies claiming to do ‘AI’ are actually providing what I would define as augmented intelligence – very sophisticated, fast decision processing or decision supporting software based on real-time scenarios. However, even these split-second, computer-driven decisions are based off of highly evolved algorithms that were programmed into the software by a human. These “AI-driven” solutions are indeed leveraging advanced technologies, but I would contend that this is not yet true artificial intelligence. To understand my opinion, we should look at how AI is defined. In the simplest of language, AI is a computer (software, robot, call it whatever you will) that has the ability to do things only a human can do, and use the same level of logic and reasoning that a human would. This last part is the key. Some could argue robots who just do what humans do already exist like the robots can build cars or even do advanced computations, and might even perform well, if not better, faster, and more consistent than humans. However, they currently do this following a set of orders, not using reasoning or logic of their own making. Even those using machine learning tell the computer what to make of data that is compiled and how to “learn”. In fact, as far back as the 1956 Dartmouth Artificial Intelligence (AI) Conference, J. McCarthy defined the study of the new field of AI as the following: The study is to proceed on the basis of the conjecture that every aspect of learning or any other feature of intelligence can in principle be so precisely described that a machine can be made to simulate it. An attempt will be made to find how to make machines use language, form abstractions and concepts, solve kinds of problems now reserved for humans, and improve themselves. • From the simple: Planes from any given airline should be given 45 minutes on the ground between flights to unload and load baggage, and its passengers. However, imagine if a certain flight had to shave off a single minute to avoid projected delays. Is planning for 44 minutes okay? How about adding a minute instead? Will the machine be able to break the ‘rule’ of 45 minutes? Is it taking into account the staff they have on shift that day and their willingness to “hustle” to get things done if they were asked? The machine, since it does may not be programmed to account for specific scenarios, will likely not have all the information that a human, shift manager might know or take into consideration. • To the more complex: A driverless car is faced with hitting a wall risking its passenger’s life or hitting a group of pedestrians crossing the street. We can program the software powering the car to react a certain way, but ultimately the software has no capability to consider moral issues (i.e. who is riding in my car, who are the people on the street, how old are they, what’s the best case scenario) – that any driver would consider if ever faced with the situation. With these examples in mind, we can draw the conclusion that we have yet to achieve a reality where computers have achieved rational reasoning abilities and can be deemed artificial intelligence. Can you share a few examples of how augmented intelligence is being used today? Augmented intelligence is being utilised in nearly every industry, from marketing technology to self-driving cars. Nearly every time you read about ‘AI’ capabilities in the news, it’s actually augmented intelligence. Think about the software that decided on what phone operator is best to answer an incoming call at a call center in order to increase the likelihood of a positive call outcome or the program that decides what traffic stop lights to change when and in what order to decrease the likelihood of a traffic jam. Both of these are augmented intelligence. Even the software that tailors which advertisement that pops up when you’re browsing websites to increase the likelihood of you purchasing and buying the content is powered by augmented intelligence. This technology is integrated into almost every aspect of our daily lives, whether we recognize it or not. How will companies eventually bridge the gap from augmented intelligence to artificial intelligence? How long will it take? As I stated above, true artificial intelligence will not exist until technology begins to think for itself, but that is only the baseline. As humans, our decisions and knowledge of what is right versus wrong, logical versus not, or even worth it or not, is guided by three characteristics: morals, ethics, and logic – perhaps, the combination can be defined as human reasoning. While logic at a surface level can be programmed into a machine (i.e. if this happens, this is the appropriate response), it is also deeply rooted in morals and ethics which are learned and instilled in humans throughout their lifetime, and throughout generations. Until that threshold can be met, we will be living in the era of advanced machine learning and augmented intelligence. Are there any real-world applications we should look forward to? This has a simple answer. If and when AI is achieved, there will not be an industry or market it is not applied to. Is a Westworld-style AI takeover a possibility in the near future? While HBO’s Westworld gives us a glimpse at a future where human-like, self-thinking androids are the norm, the truth is we are far from this reality and will not begin to see a world like this for decades – if it even happens at all. Speculation about artificial bots that can ‘think’ for themselves and live amongst us every day is what people equate the future of AI to look like, but we’ll likely begin seeing these technologies implemented in applications that enhance our everyday lives like autonomous vehicles, customer service, and much more. However, when we do start to see true artificial intelligence take form, we need to have regulations set in place. In my opinion, if true AI is created, meaning computers that can in fact think and behave like humans do, then why would we not expect them to behave like humans? For example, aid, work, achieve…and yes, argue, fight, be violent, and kill. If this is the reasoning that should propel our policies, then it becomes much simpler to decide on what policies should be put in place.